The UFT offers many different ways to stay in touch with the union and get the latest updates on your rights, benefits, discounts, workshops, campaigns and more. Sign up for UFT text messages and be among the first to be notified about key information such as school closings in the event of inclement weather. Text: UFT to 30644 from your mobile phone (standard messaging and data rates apply) or sign up online. The power of the union is now in the palm of your hand, thanks to the new UFT app. Connect with UFT offices, register for events and CTLE workshops, catch up on the latest union campaigns, and unlock special UFT members-only discounts for your shopping and entertainment needs. Download the union’s app in the App Store if you have an Apple cellphone or in the Google Play Store if you have an Android device. New Teacher Resources: Information about certification and licensing, classroom resources, union programs that support new teachers and information about your salary and pension. Our Rights & Contracts: Your salary schedules and information about specific contract provisions that affect you. Our Benefits: Information about your health care benefits, including common forms and a directory of participating dentists and optical services by ZIP code. Our Chapters: Special sections and news for each of the UFT’s chapters. Our Campaigns: Information about current educational and political campaigns that the UFT is involved in. Professional Learning: Professional development opportunities, including courses, conferences, seminars and summer institutes, as well as links to websites useful for lesson planning, solving common classroom challenges and funding classroom projects through grants. 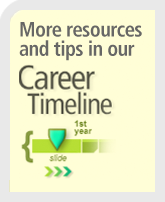 Career Timeline: A career timeline, with information tailored to newer teachers. Union Directory: Contact information for representatives in each of the UFT’s borough offices. Discounts & Promotions: Special discounts for educators, school-based staff and city employees. Events Calendar: Upcoming workshops, meetings and union events. 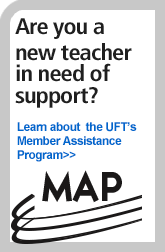 Ads for UFT conferences and other professional development programs sponsored by the Teacher Center. Grants, Awards and Freebies, which lists education-related grant opportunities to fund class or school projects. Teacher to Teacher, a column in which teachers share advice and ideas about what works in their classrooms. Linking to Learning, a bimonthly column about how to use technology to enhance your classroom instruction. A special education supplement (mailed three times a year) listing UFT courses and workshops you can take to meet certification requirements and increase your salary by earning differentials.